HOPPY Beverage invites you to a special, one-night event to kick off the 11th annual launch of Akasaka “Tabe-Naito, Noma-Night”, dubbed “Tabe-Noma”, that celebrates what’s best in food and drinks in one of Tokyo’s most historic and vibrant neighborhoods. This event, themed “New York Night in Akasaka,” is inspired by New York’s parallel commitment to International culinary scene where, like Akasaka, thrives on bringing people together over authentic and diverse food and drinks. This year, Hoppy Beverage welcomes a world renown ice sculptor Shintaro Okamoto and five artists from OKAMOTO STUDIO based in New York City, to created an exotic ice bar and perform live carving of New York themed sculptures in Akasaka. There will be Tabe-Noma tickets available for purchase to enjoy the special offerings at the event while trying your hand at scribbling onto the interactive “Graffiti Ice Wall”. The event will also host a special live recording of the popular “Hoppy Happy Bar presented by Hoppy Mina” by Nippon Broadcasting System. • PRICE: Event is FREE. 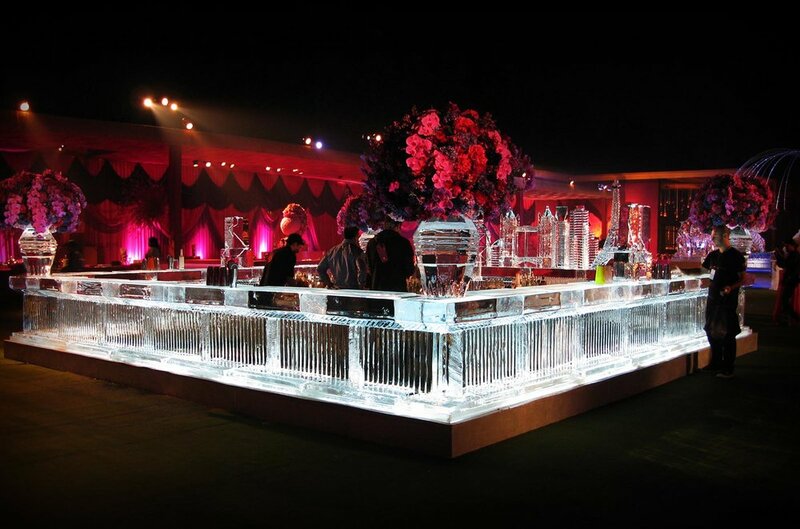 Drinks and snacks served at the ice bar can be exchanged with “Tabe-Noma tickets”. For details of the tickets, please visit the website of “Akasaka Tabe-Noma Night”. HOPPY Happy Hour at Hagi 46! Please join us on Tuesday, Aug 23, from 5 - 9pm at Hagi 46, when HOPPY CEO Mina will meet and greet to Kanpai with Tokyo’s most iconic drink! Come enjoy the ice cold HOPPY at its best in New York! test your skills with ice picks and chisels to make your own ice mug to accompany your favorite Hoppy for a special summer toast! Shochu Tuesday at SakaMai teams up with Hoppy for a special promotional event! Hoppy and Wasan welcome in spring!